Denmark celebrates the remarkable 100th anniversary of Estonia’s, Latvia’s and Lithuania’s independence jointly with a number of initiatives – events for 2018 and 2019 as well as long-term actions. The program of Danish input was presented by Danish prime minister Lars Løkke Rasmussen on 16th of January 2018 in the National Library of Latvia in Riga. The program which was developed by Danish Cultural Institute is wide-ranging and includes classical music, children and youth culture, maritime history, sports and creative industries. Scroll down to check the detailed programs for Estonia, Latvia and Lithuania. All of the initiatives below forms the background for an extensive Danish input to the 100-year celebrations of the Republic of Estonia. The marking will continue throughout 2018 and 2019, and with a major event on the 15th of June celebrating the 800th anniversary of the Danish flag Dannebrog falling from the sky. 2019 will also see a wide range of events focusing on Danish art and history, including an exhibition of Danish Golden Age painting, a historical Dannebrog exhibition, a Danish-Estonian concert and the founding of a new Danish garden in Tallinn. Furthermore, a number of classical and contemporary music events will also be a part of the celebrations. The ensemble, excelling in early and contemporary classical music, will perform the concert “Music to Joy and Freedom” with works from Denmark, Estonia and Latvia. During the DocPoint Documentary Film Festival in Tallinn, a workshop between Danish and Estonian film and television professionals will be conducted. The purpose is to brainstorm a co-production on the Danish Flag Dannebrog. The film is expected to premier on June 15, 2019. Formerly known as Efterklang, the band Liima continues to enjoy great popularity in Estonia. The concert will take place at the fashionable club Erinevate Tubade Klubi. The National Gallery of Denmark will produce an exhibition of Danish Golden Age paintings which will be shown at the Kadriorg Art Museum. The central piece will be C.A Lorentzens “Slaget ved Lyndanisse” (“The Battle of Lyndanisse”), depicting the battle on the 15th of June 1219 when, according to legend, the Danish flag fell from the sky. Supplementing the Danish King’s Garden, a new garden of Danish roses will be established in Tallinn’s historical city centre. The inauguration will be accompanied by Danish and Estonian choirs. Museum of National History (Frederiksborg) will produce an exhibition on the history of Dannebrog. The exhibition will be on display in the tower Kiek in de Kök (Tallinn City Museum) and is also planned to be shown at Fredriksborg castle in the autumn of 2019. Photos of selected items will moreover be publicly shown at the Freedom Square in Tallinn. The 800th and 100th anniversaries of Dannebrog and Estonia respectively will be marked with a ceremony on the Freedom Square encompassing several Danish and Estonian cultural activities, including choir performances, contemporary music, activity tents and a photo exhibition. A delegation of 800 Danes will travel to Tallinn and participate in selected celebration events. The world-famous baroque ensemble Concerto Copenhagen will perform together with the Estonian Philharmonic Chamber Choir in Estonia Concert Hall. At the concert, compositions by Arvo Pärt as well as core works from the baroque repertoire and Danish songs will be presented. Marking the first Danish celebration of the centenary of the Republic of Latvia, Christian IV Vocal Ensemble (Denmark) performed a concert on 17th of January at St John´s Church. The program is inspired by the period of the Reformation and thoughts of Luther – symbolizing ideas of freedom and independence central to the Republic of Latvia. One of the highlights in the celebration program is supporting the development of creative industries in Latvia. This area is currently receiving high priority from both Latvia and Denmark as culture and creativity are an important asset for a successful growth of the future generation as well as new means for the economic development. Danish experience and Latvian innovation go hand in hand, manifested especially by the renovation and refurbishment of the formerly Danish-owned tobacco factory in Riga, which will in the future re-open as a culture house and incubator for creative industries. Danish architects will direct the transformation of the factory, and the laying of the ground stone is expected to happen in December 2018. Danish and Latvian creative initiatives also continue to flourish with projects such as Creative Business Cup Baltic Sea Region. The other important event which is supposed to happen in December 2018 is the visit of HRH Crown Prince Frederik and HRH Crown Princess Mary of Denmark. During his visit, the Danish prime minister will meet the Latvian prime minister Māris Kučinskis and will give a book to the Latvian National Library. The ensemble, excelling in early and contemporary classical music, will perform the concert “Music to Joy and Freedom” with works from Denmark, Latvia and Estonia. Formerly known as Efterklang, the band Liima continues to enjoy great popularity in Latvia. The concert will take place at the Von Stricka Villa – a mansion in Riga’s creative neighbourhood built into a unique event residence. The Endless Labyrinth from Danish Broadcast and film composer Mathias Madsen Munch is a captivating musical show, inviting the children to get actively involved in choosing the story’s development. As a continuation of the long and proud relations between Latvia and the Danish island of Ærø, the coaster Samka will set ashore in Riga, loaded with a historical exhibition about the friendship. A floorball match during the Riga City Festival will be organized by the Latvian and Danish sports confederations and Olympic Committees. The Danish Creative Business Cup gets a Baltic Sea addition as creative startup businesses from the whole region meet to network, compete and develop new projects. As the field of e-sports gains more popularity, both as a leisure activity and professional discipline, a Counterstrike tournament of Danish, Latvian, Estonian and Lithuanian teams is being organized. The world-renowned baroque ensemble Concerto Copenhagen will give a concert in the Great Guild concert hall of Riga. The laying of the ground stone of the new tobacco factory will provide the setting for a meeting between Danish and Latvian representatives of creative industries. His Royal Highness Crown Prince Frederik and Her Royal Highness Crown Princess Mary of Denmark are expected to visit Latvia, which will be the culmination of the Danish celebrations of the Latvian centenary. Her Royal Highness Crown Princess Mary of Denmark visits Lithuania to join in the celebrations on Independence Day, February 16. Within the Danish-Lithuanian cultural cooperation, notable focus is put on film, allowing Danish experience and Lithuanian creative expertise to go hand in hand. It is planned to create a permanent film studio for children, where films can be developed and produced based on Danish methods. This aims to stimulate creativity in education and develop media literacy among younger citizens. Furthermore, the Vilnius International Film Festival will see a strong Danish presence through film screenings and a Danish pavilion, providing a forum for discussions and exchange between Danish and Lithuanian producers, distributors and creatives. An additional programme of diverse celebration events will be carried out. 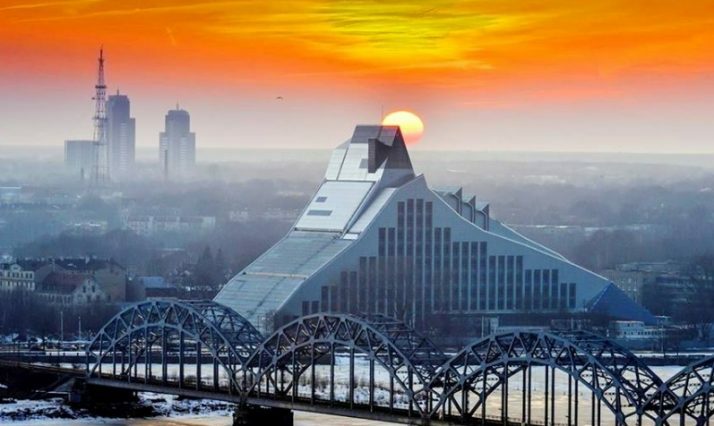 A museum exchange programme between Danish and Lithuanian regional museums will be facilitated in order to share experience and create a joint exhibition. 2018 will also see an exhibition on the life and work of Danish architect Jan Gehl, globally and in Lithuania. This will expectedly be accompanied by a book translation. Finally, a number of classical and contemporary music events will add to the celebrations. On Lithuania’s Independence Day, Her Royal Highness Crown Princess Mary of Denmark will participate in the official celebration. Formerly known as Efterklang, the band Liima continues to enjoy great popularity in Lithuania. The concert will take place at the fashionable venue Kultūros baras Kablys. The festival will have a strong Danish presence of film screenings and lectures as well as exchange activities between Danish and Lithuanian producers, distributors and creative professionals. An exhibition about Danish architect Jan Gehl’s life and work, globally and in Lithuania, will open in Vilnius. It is projected that the exhibition will be accompanied by a Lithuanian translation of Gehl’s internationally acclaimed publication “Cities for People”. An exchange programme between the Lithuanian Neringa Museums and Taurage Regional Museum plus the Danish Museum of Cultural History (Holstebro) is being initiated. There will be visits to both countries, and a special emphasis will be put on modern museum mediation. A joint exhibition will expectedly conclude the project. Based on the Film X studio of the Danish Film Institute, where children can independently develop and produce films, a permanent film studio will be constructed in cooperation with the Lithuanian Film Center. Here, it will be possible to develop creativity in education and establish a critical understanding of the instruments of film media. The world-renowned baroque ensemble Concerto Copenhagen will give concerts at the Kaunas State Philharmonic Hall and the Lithuanian National Philharmonic Society in Vilnius.